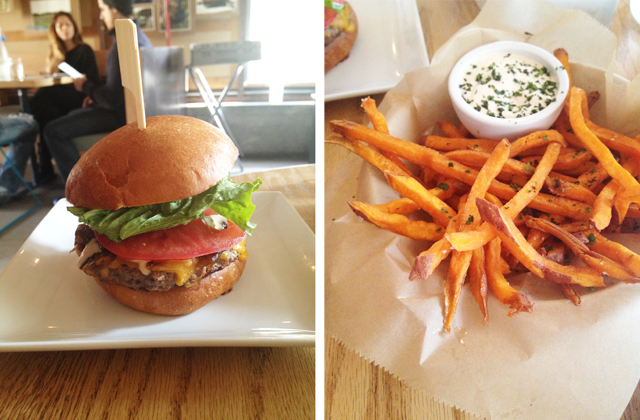 Alright, meat eaters, it's been exactly one week since your last FFG burger review. It's high time we lined things up for another. 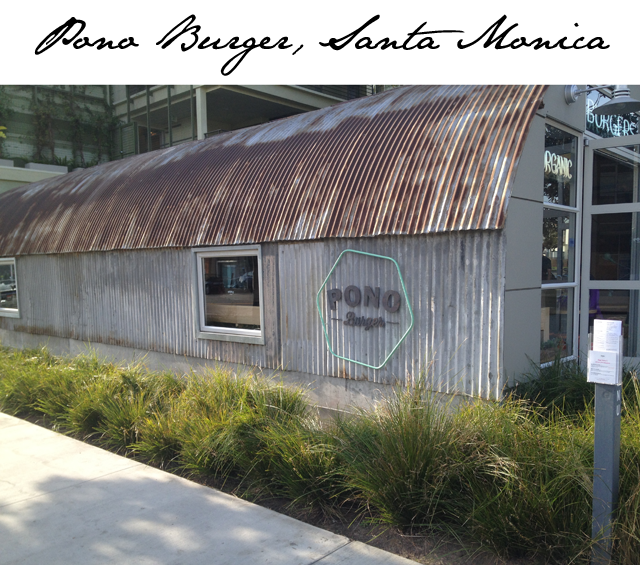 So let's flashback to Santa Monica where we are pleased to introduce you to the mouthwatering meat mashers known as Pono Burger. This isn't your usual burger joint. For starters, you eat in something that looks like a tin can sliced in half, otherwise known as a WWII style shelter. Inside, you'll find vintage looking furniture and accessories that make this a casual retreat for a juicy burger. Now, about that burger. 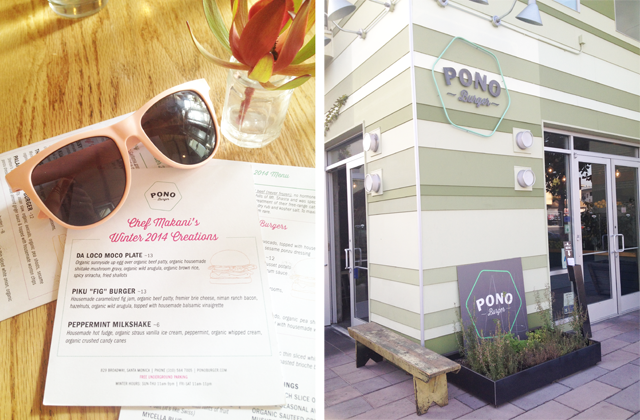 All of Pono's beef is sourced locally and ground in house, making the burgers as fresh as they could possibly come. Oh and just about everything else you can imagine on the menu is also local. Pono Burger also bake their own buns and even have a gluten free version for those of us moving down that path in life. So what will you find on the menu? Well, burgers of course. But not your average burger. You have to try specialties like the Piku Fig Burger, which involves caramelized fig jam, bacon, hazelnuts, wild argula and house made balsamic vinaigrette piled atop an organic beef patty. Yum-my! Pair your burger with organic sweet potato fries and the Salted Caramel Sauce with Bacon Bits Milkshake (oh yeah, that sounds crazy but maybe just too crazy good). Go fourth and burger it up, people.